On the foothills of the beautiful tableland GOLTE which was declaired to the Landscape Parc Zgornja Savinjska dolina (Upper Savinja Valley) a pleasent stay in the nature and atmosphere are offered. 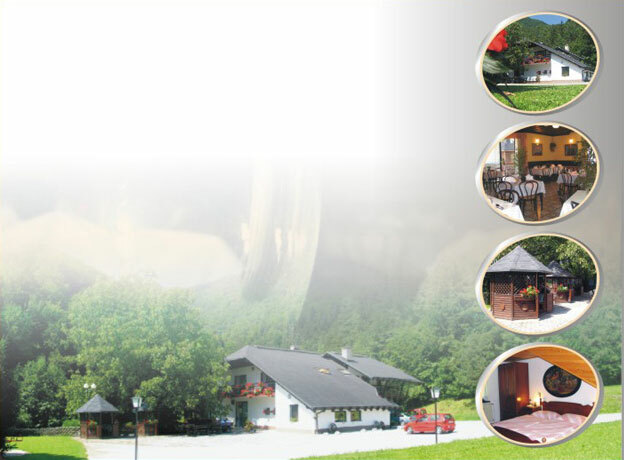 The INN Atelšek is wating for you with the authentic Slovene hospitality. The slope SUHA is overgrown with fresh beech and pine forest which extends until the Inn. A christall-clear brook Rečica which rises in the karst cave Župnekovo žrelo and gives numerous trouts their lives. Trouts are our speciality. All this is a harmony of fresh air, water, and rest. In the vicinity you can fish, walk, ride on the horseback or play Tennis. There are marked walking trails on the meadows, fields and in forests. A visit of the Logarska dolina (The Valley of Logarska) is something special. THE INN ATELŠEK AND ITS FRIENDLY STAFF ARE WATING FOR YOU WITH THE AUTHENTIC SLOVENE HOSPITALITY.